When shooting for ISO 9001 certification consider using employee training tracking software. Auditors look for a well thought out system and software such as TrainingKeeper shows the importance of training to your quality systems. Just buying employee training tracking software by itself doesn’t mean you pass the ISO 9001 requirements. You must implement the software, plan the training and then conduct the said training for your employees. Like the other ISO 9001 requirements, you must take action. Fortunately, TrainingKeeper makes it easy to take action. One of the biggest challenges when a company implements a training program is assuring that the training actually occurs and completed in a timely manner. When new employees come to work for your company they need training to correctly conduct their work. Management with good intentions tries to predict and plan long term training. However as the employee becomes more accustom to the position, the training slows down or stops. The training eventually disappears. The long term training plan does not happen because no one follows up. This occurs because, when not using the correct tools, tracking scheduled training is cumbersome, difficult, and easy to forget. Most companies lack the tools to track who received what training, and who needs training. A new employee starts at your company. The first day he receives his initiation training for that company. He fills out the company’s hiring documentation. He gets a tour of the facility and meets his managers and coworkers. He finds his station. Because he is new, he slowly learns his job. Because of his "newness", he doesn’t get to decide the important classes. He doesn’t get to pick his training. He relies on others to arrange this for him. So a supervisor or a co-worker trains him. What does he learn first? Management expects him to be train in classes A then B then C and then D. But the trainer may not know this. For most companies, there is no document that describes neither the sequence of training nor the actual training process. The trainer instead, trains him in C then A then B and then D. In addition the trainer may actually train him in other items not immediately needed which slows down the necessary initial training. Even worse, the trainer skips or forgets to conduct the training per management’s expectations. This is really bad for the company. Why? Without the lack of proper training the new hire makes mistakes. These mistakes cost the company money. Most likely he gets blamed for the mistakes which demoralizes him. He decides it’s not worth working there and leaves. The company needs to rehire for the position and the deficient training circle starts again. Companies that lack employee training tracking software such as TrainingKeeper to track training and enforce the training plans are much slower to implement improvement projects and cost cutting actions. Companies that use software to monitor, track and enforce training gain several competitive benefits. By tracking training records your company prevents defects. When you track the training in TrainingKeeper, you know who is qualified to run the process. You don’t want someone not trained working on a piece of equipment that is critical to product or service Quality. With TrainingKeeper, you can quickly pull up all the training by that operator and then judge whether they are qualified to work that process. Or you can select a particular training class and see who has been taught to that procedure, equipment, specification or anything else your company deems as a critical training class. Planning long term training and following these plans makes your company more competitive because your employees gain higher skills in a predetermine matter. With TrainingKeeper you can create an unlimited number of training plans. You then assign these training plans to any employee. This employee training tracking software automatically creates the schedule for each class for each selected employee. You can then quickly create reports that show the schedule of classes for each employee. Or you can look the list of employees per schedule classes. By using employee training tracking software for creating a training plan, TrainingKeeper lets you assign future training and training dates assures company’s employees receive the exact training they need. It assures the employee do not miss an expected class. Implementing employee training tracking software that tracks and manages training significantly saves the company money. Management creates the exact training plans and TrainingKeeper produces a document that details the training schedule. The trainer follows the schedule and trains the new hire appropriately. The trainer does not forget the specific classes nor the order. For each skill taught per the training plan, the trainer creates training records which are then entered into TrainingKeeper software. The software automatically matches up the training record to the training schedule. 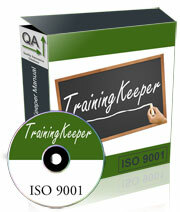 The employee learns all the necessary skills; the proof is maintained by TrainingKeeper software. The employee makes fewer mistakes. He is less likely to leave the company and the company makes a happier employee. With TrainingKeeper software you keep all training records in one central location. Management can promptly review the training received and the training due for any employee or class. If desired, reports can be printed and filed for any employee. Training class records can be quickly reprinted. With this employee training tracking software,you can track specific training information such as class details, class authors, class approvals, and key documents. You directly link to the supporting documents for the class so you don’t need to remember the file location of these documents. If an employee leaves the company you can keep their training on file but easily remove them from the list of active employees. If the employee comes back to work, you can quickly make that employee active and review his previous training. Use the software to record internal and external training. 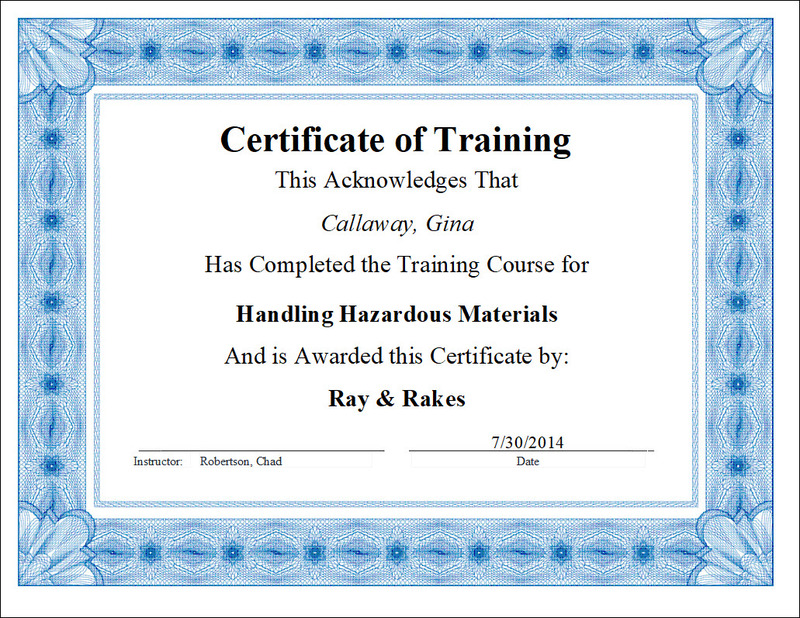 For each hardcopy training record place TrainingKeeper’s training record number on that hardcopy. File the hardcopies by the Training Record number. Later, as needed (for example during an audit), you can easily pull the pertinent training records. With TrainingKeeper you can easily find your company’s training history. Find training records by dates of training, training record numbers, employees or classes. Quickly sort and filter the records by date, teacher, class, record number, training material, authors, approvals, names, department, and position. If you need to track the number of classes taken or the amount of time a student received training, TrainingKeeper provides a report for this. With this report you can determine the costs of training and then plan for these costs in the future. To help you with creating a training system at your company I created a couple of videos. I cover necessary forms, ISO 9001, planning, scheduling, documenting, training system software and a much more. After watching these videos, you should know how to setup a training system at your company. Information on setting up an employment certification letter program.